I used Dark Eyes vodka for my abscessed tooth. I just rinsed it and held it on as long as I could stand it, and then rinsed. It numbed it. The doctor at the emergency room said it wasn't the best solution, but it was smart. The vodka killed a lot of the bacteria. 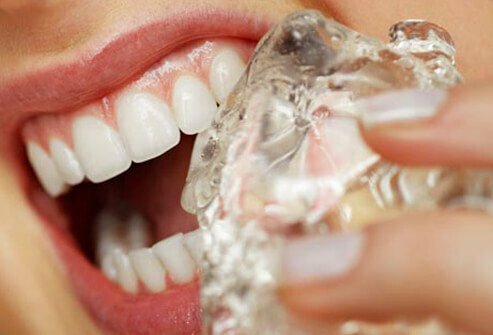 I've tried several home remedies for an abscessed tooth. The one that provided the most relief was swishing (for as long as possible) with water from the Dead Sea. Also at night, right before sleeping, I used a balm called Elephant Oil (no, it's not from an elephant, it is herbal) to rub on the swelling, on my head, the back of my neck and bottoms of my feet before I put my socks on. During the night, I sweat out the fever. Another helpful remedy is swishing with virgin coconut oil for 20 minutes. Lastly, but not necessarily least, drinking a tea made of garlic, fenugreek powder, lemons, and cayenne pepper also helped to reduce the inflammation. I have some cephalexin that was prescribed for my dog, and some doxycycline and hydrocodone left over from a previous surgery that I didn't use. Also using ibuprofen alternating it with the hydrocodone. I thought I had a sinus infection because I had a sinus headache, so I didn't catch the tooth abscess right away. I was already in a lot of pain from the sinuses. But I don't have dental insurance so I am taking those for now for a couple of days, with vitamin C and hoping they work. I am also swishing hydrogen peroxide and brushing with Periogard, especially at the site, and swabbing it with tea tree oil. I can't tell for sure which tooth it is, so am just doing the whole area, even though it is numb on the surface. I hate taking all these medications, but feel so sick, but the medications make me feel worse though, I think.